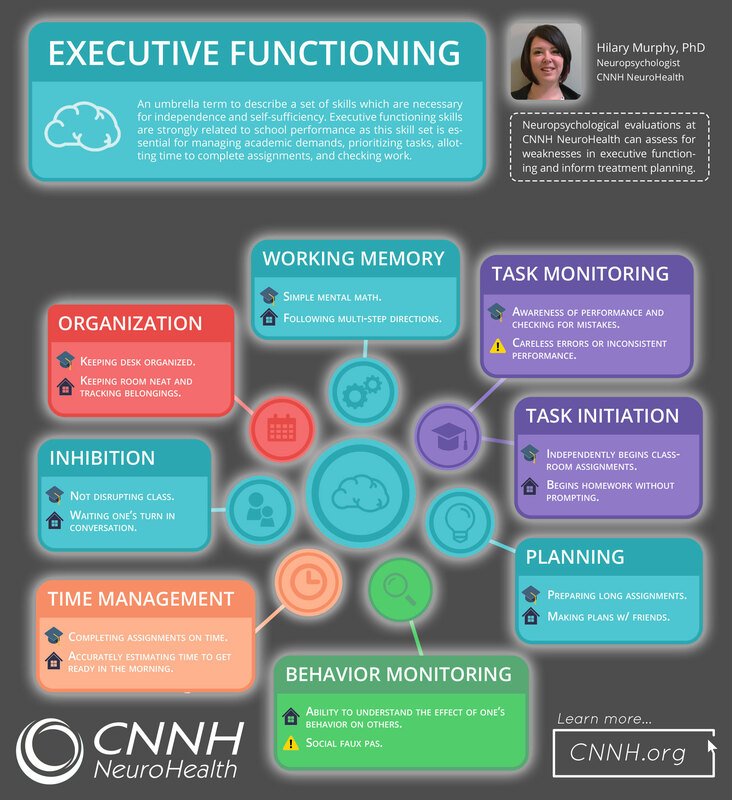 In this quick fact sheet, CNNH Neuropsychologist Hilary Murphy, PhD explains what executive functioning is, different executive functioning skills, and what these skills may look like or how they may be used in a home or school setting. It’s important to note that the significance of these skills increases with age as individuals are expected to take on additional academic and social responsibilities. Neuropsychological evaluations at CNNH NeuroHealth can assess for weaknesses in executive functioning and inform treatment planning. 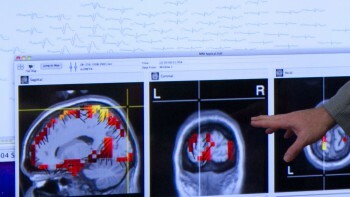 Click the link below to learn more about our neuropsychology services! 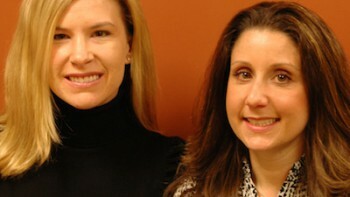 Dr. Murphy has extensive experience evaluating children, adolescents, and young adults and her areas of expertise include Attention-Deficit-Hyperactivity Disorder (ADHD), dyslexia, executive functioning, and other specific learning disabilities, Traumatic Brain Injury (TBI), concussion, epilepsy, neuro-oncology and late effects of chemotherapy, stroke, and developmental disabilities. 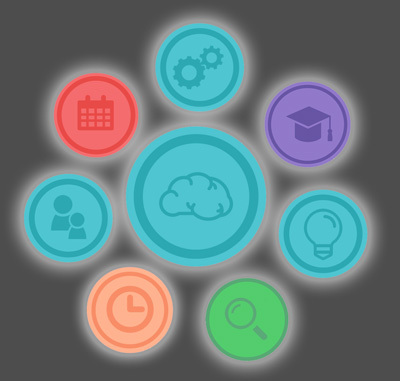 This entry was posted in Learning and tagged adhd-sidebar, executive functioning, front-page, neuropsych-sidebar, neuropsychology, school-sidebar. Bookmark the permalink.